Argh! Its the spookiest time of year, when all ye pirates decorate in all ye spooky decorations. So do you have a.......Spooky Cabin? * This contest begins October 10, 2015 and ends October 25 , 2015 at 6pm Central time. Following the official rules posted above, you will decorate your Pirate101 small ship cabin. Send in no more than 2 screen shots of your ship cabin by October 25, 2015 at 6:00 PM Central US time. How do I submit entries? Send all entries to ContestPaigesPage@gmail.com email. 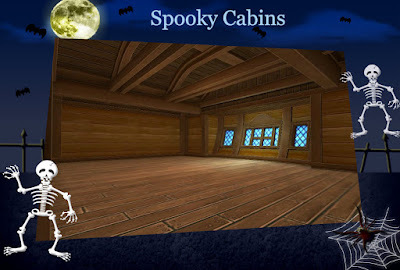 Please add title "Spooky Cabin" to email.